Definition: Double shell, hydraulic grapple with strainer ribs or perforated shells. About a rotary unit can be hydraulically endlessly turning the grip module. In general, material round bottom, screwed rule. For excavators from 0.7 to 200 t.
A major distinguishing feature is whether the gripper has a hydraulically driven turntable or a rotary hydraulic motor. Of course, the gripper with hydr. Rotary motor cheaper, but not really suitable for the cancellation. However, for small or slight interruptions such as a gazebo or garages he was good enough. The designed with the rotary motor grab is the long term not up to the task in the right demolition, is where time around broken on a bottom plate. Technical problems are predictable. Ideally, your gripper has a double bearing swivel head. This absorbs the forces even better. Arises frequently also the “problem” in which the gripper, with material in the mouth, turning away. This is not a “problem”, and the grip is not broke, but the rotary engine in the swivel head protects himself. If the load is too high, an overload valve (also known as shock valve) oil passed and the gripper rotates. Here it is thus necessary to consider that are subject to the load hook. For a demolition sorting grabs serves as a supporting tool in the crash and is not primarily a demolition tool, such as a Abbruchschere! That is, simple and light structures such as garages and old buildings, which have been created in brick construction are to cope with it. But no concrete structures, as unfortunately be observed from time to time. An important role in the life plays the maintenance here. The responsible person should service the device daily. Better to have more lubricated, than sorry. Material that has come between the components should be removed immediately. Unfortunately, too often neglected! The matching your excavator grapple, please refer to the graphic. Please take into consideration that there may be only a recommendation, since various factors are taken into account. At the top is the weight of the gripper and below you will find the excavator weight. Loading charts are set for each of the respective carrier devices. In case of damage, the load diagram serves as a basis for the measurement. A 21 t mobile excavator is to be evaluated differently than a 21 t excavator, backhoe, a short or a handling machine unlike a conventional excavator. Always read the load diagram of your excavator. Forget the calculation is not the quick-change system and the adapter plate. What factors play a role in the selection of the gripper? One question will arise again and again. What do I do with the gripper at all? Only you cancel it and tear so sometimes entire ceiling of buildings? 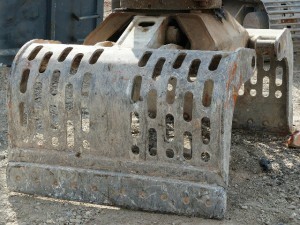 Then we would always recommend a gripper which moves in the upper weight class for your excavator. But you loaded it, “yellow bags”, surely this has a slight variation ranges. Point 1: Don´t do it! Usually it fails already at the quick-change system. You should always unscrewing the adapter plate. The hydraulic couplings will still be the smallest problem here. Moreover, your “panacea” for the 12 t mobile excavator will be too difficult or too easy for the 21 t crawler excavator. The wheel excavators you wiggle around as if you were standing on Jell-O and the chain excavator you tear the hook because you will be so much to perform heavy work. Because you really want to create something. This is normal and also completely understandable. Extra implements a weight class was developed for each excavator weight class. And for good reason. As already mentioned, there is a load diagram for each excavator. If you are used to lift the 21 t excavator certain weights, then you will want to do well with that in the case of slight hook. Only the gripper must be well designed for it. He is no longer in the constellation. Something will go wrong and that will be the gripper. As a rotary transmission leadthrough is also referred to a device that allows a mechanical rotational movement through a vessel wall to be transmitted therethrough. 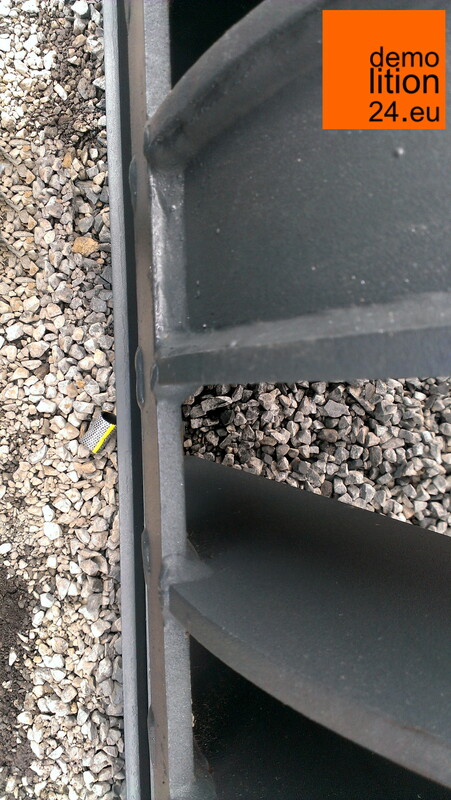 A point which speaks to the quality of a gripper is, as seen here in the picture, the crossbar in a ribbed shell. 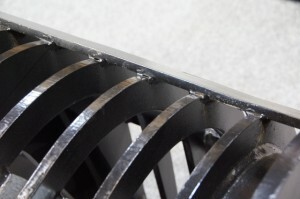 In part, the braces are placed only on the ridges. The stability here is not as high as in recessed ridges. Put on and attached. Which grab you would pay more confidence?